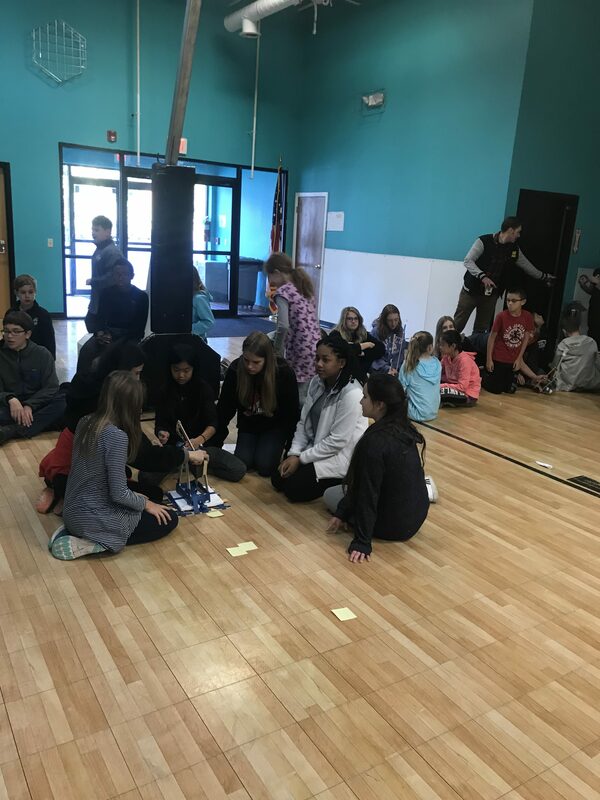 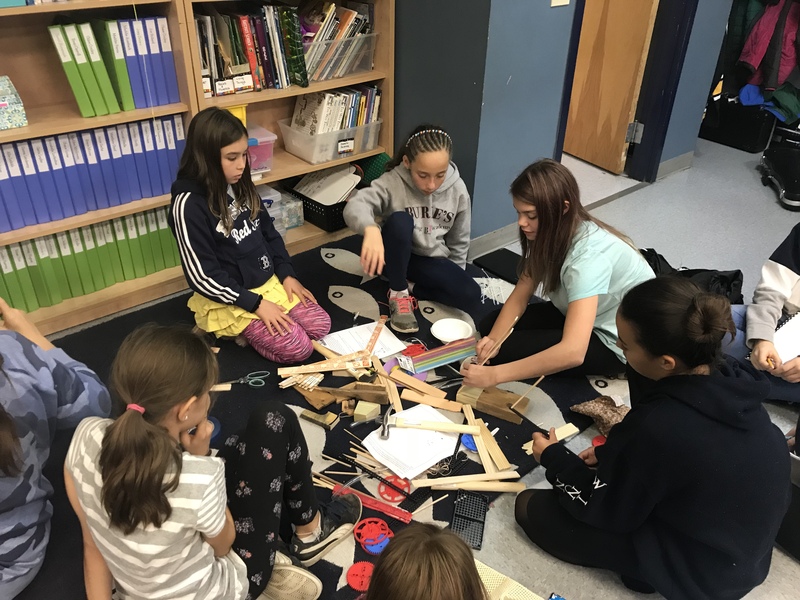 The 8th grade students participated in Massachusetts STEM week by working on an engineering challenge with their 5th grade mentees. 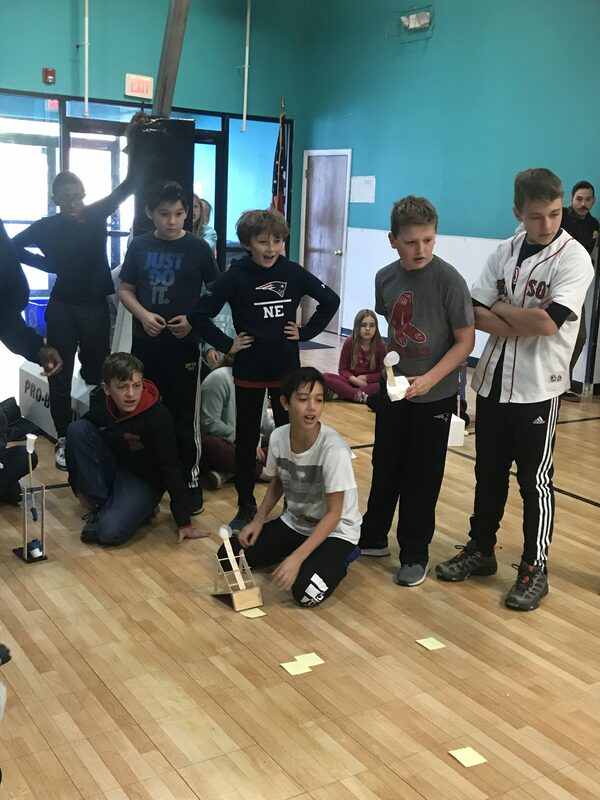 We chose to design trebuchets because the 5th grade is studying the Middle Ages in class. 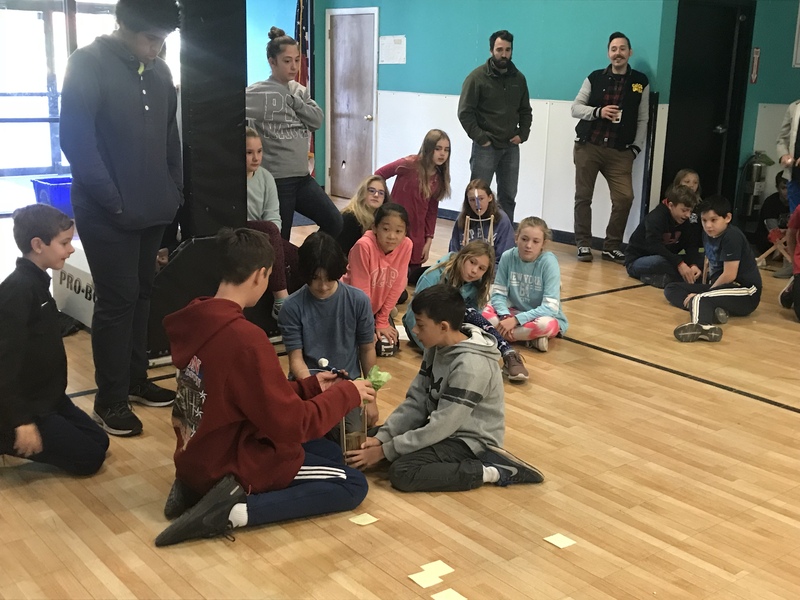 The challenge was to create a device to launch a marshmallow across the gym. 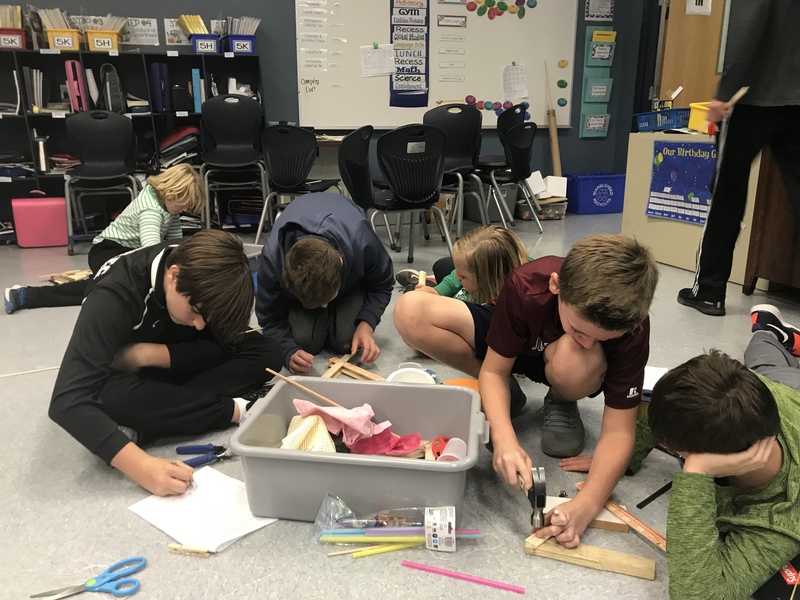 The students followed the Engineering Design Process by exploring, designing, building, testing, and redesigning until they had a working prototype.